Wes Kitchel has been actively involved in the fire service for more than 38 years. Wes retired after 33 years of service as Captain with the Santa Rosa (California) Fire Department. Two years after his retirement he took a position with the Sonoma County Fire and Emergency Services as the Assistant Chief of Operations and Training. Wes has since retired from that position. Wes has participated as chair/delegate on many IFSTA committees including: Fireground Support Operations, First Responder, Wildland, Structural Collapse, Ground Ladders, Rescue, Driver Operator/Pumping Apparatus, Essentials, and Loss Control. Wes is responsible for delivering USAR related programs and other specialized training in the North Bay operational area. He is a certified fire officer and senior rescue instructor for the California State Fire Marshal's Office. In this capacity, he has the opportunity to encourage partnerships between the fire service and public and private utility companies through cooperative training courses for a shared regional emergency response to special rescue situations. Wes is working with the California State Fire Marshal's Office as a Task Group leader to develop Fire Ground Operations for Photovoltaic Systems, a document that will guide firefighters in a safe operational approach in buildings equipped with solar technology. Wes is currently a Rigging Specialist and former Task Force Leader with the California FEMA USAR Task Force 4 in Oakland, California (CA-TF-4). He is also a principal member of NFPA 1006: Standard for Rescue Technician Professional Qualifications committee. 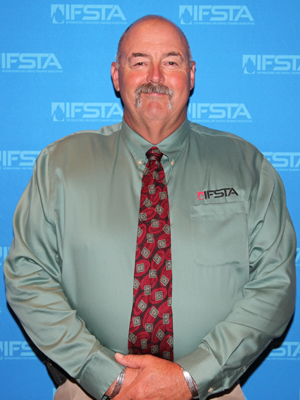 Wes was first elected to the IFSTA Executive Board in 1995 and currently serves on the IFSTA Company Officer validation committee.